Everyone who knows me well knows that I love Diet Coke®. I've been a fan for years! just a can of diet soda and cake mix. 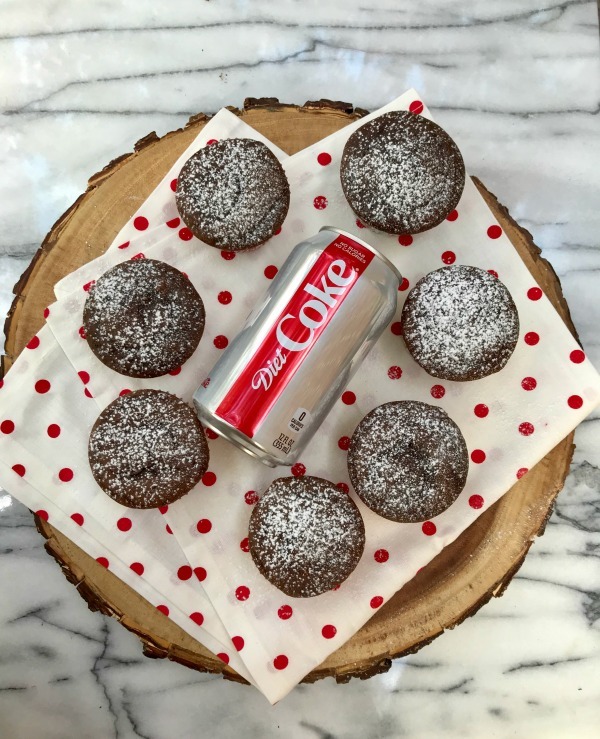 Diet Coke® and chocolate - I was sold! easy to serve and look pretty in festive paper liners. and Sprite®. The large packages are nice to have at home, especially during the holidays. I like having a variety of beverages for my guests to choose from. Sam's Club will have everything ready for you when you arrive. How great is that! tempted by all of the other goodies like you are when you walk the aisles of the store. drive-thru area available at some warehouse locations. Preheat oven to 350 degrees. 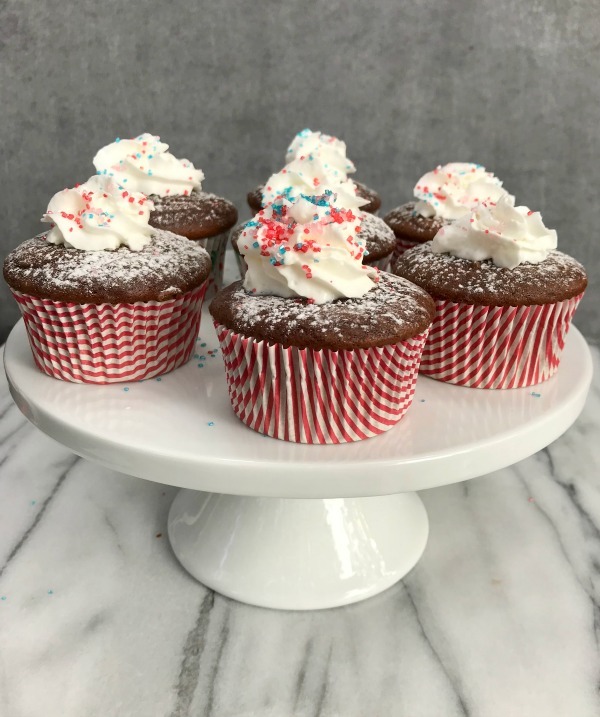 Line two 12-cup cupcake pans with paper liners. Pour cake mix into a large mixing bowl. Slowly pour Diet Coke over the cake mix. Beat with an electric hand mixer for two minutes or until completely combined. or until a toothpick inserted comes out clean. Cool cupcakes on a wire rack. Dust with powdered sugar or whipped cream.